Five-hundred people left their homeland together, in order to live together in their Utopia. They came from all over Germany, all led by that one idea. The Giessen Emigration Society crossed the Atlantic Ocean in 1834 to found a model democratic German State in the USA – what later became a State of Germans in Missouri. 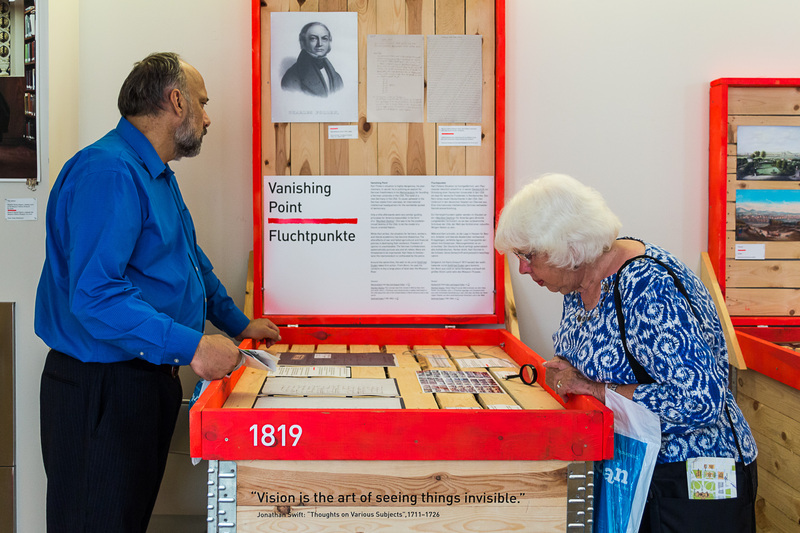 The exhibit is in both German and English and tells the amazing story of these early immigrants, what they thought, the challenges they faced, and the nativism they endured. 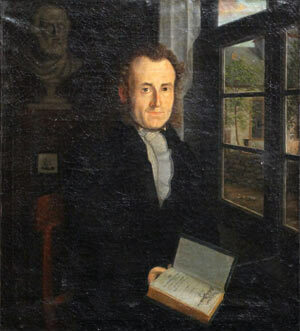 It shares the history of the Society founder Friedrich Muench and his work as a writer and as a statesman, to continue the Society’s original effort. It explores the impact the Germans had on Missouri’s involvement in the Civil War and their emancipation movement. The visitor not only becomes involved in what these early emigrants faced, but what it means to be an immigrant in the United States today. The utopian ideal is explored, and participants invited to share their ideas of what Utopia means today and to their future. 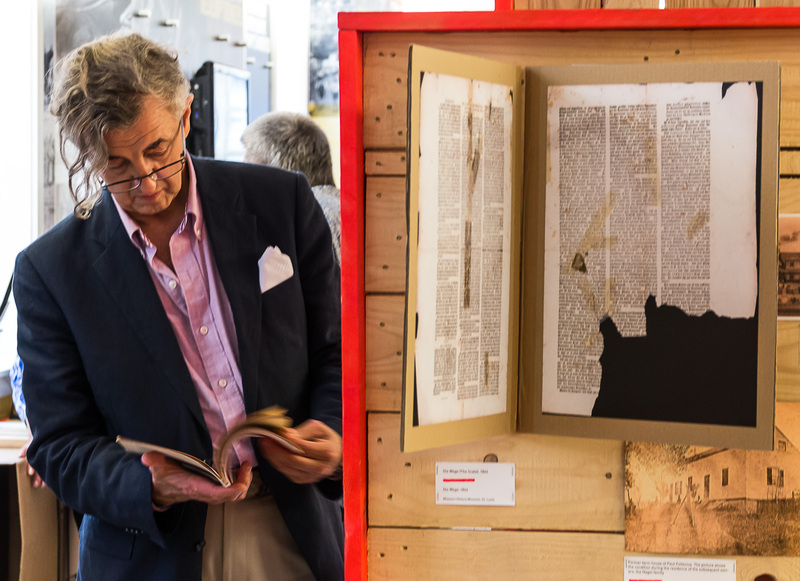 Another unusual concept that is found in the exhibit is its’ own archives, where everyone is invited to read the thousands of pages of research collected and used in the exhibit, the accompanying book and documentary. checks in may come as well – in thoughts, by train, truck or ship. The Traveling Summer Republic, a transatlantic collection of artists, creators, and scholars, generates a meeting of the minds with these travelers. They are bringing together their work and findings to create a world of discovery for people of all ages through videos, texts, archives, film footage, and photographs. Here is an invitation to a journey – through both German and American states at turning points – of revolution and upheaval; along private, social, and philosophical adventures, through their motives, and the highs and lows of a bold vision. It is a journey through past and present Utopia. UTOPIA deals with being on the road and indeed actually travels, as well – in many boxes within a cargo container. The Traveling Summer Republic transforms the emigrants’ search into concrete experiences, and the team’s every arrival and farewell becomes a public event. The exhibits are unpacked, the travel trunks become the exhibits, the doors to the past are opened: Come stay a while and explore! Childhood dreams, rebellions, and lifelong friendship await you in photos and audio-visuals. Freedom, equality, and brotherhood, religion and assassinations are all found. Crossing the Atlantic, wine culture, and slavery are examined as well. 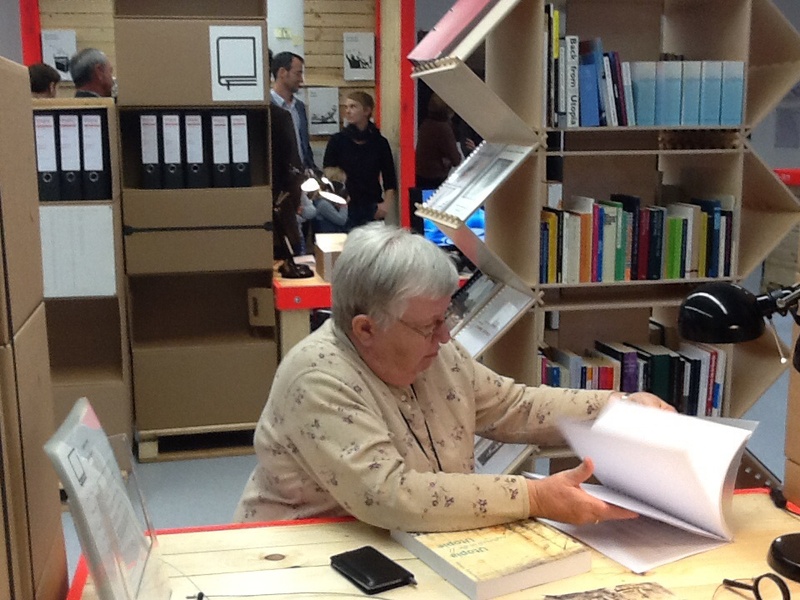 Old documents from the Utopians and recent interviews with the descendants are shared. At the end of every visit the trunks become still, the photos are rolled up, the books are closed. Everything is packed up and stowed away. Currently at the German American Heritage Museum in Washington, D.C. 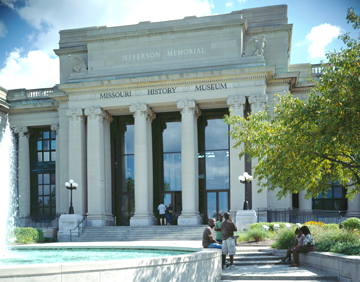 It will open at the Missouri History Museum in St. Louis Missouri on November 22 in St. Louis!